You may know about Chevy’s reputation for dependability, but you may not realize just how hard won that reputation is for Chevy trucks. Sure, you may think that your Chevy will last you 150,000 miles or so — maybe 200,000 if you’re really lucky and take good care of the truck. Yet, you can actually expect a much, much longer life with your truck, especially if you take the right care of it. 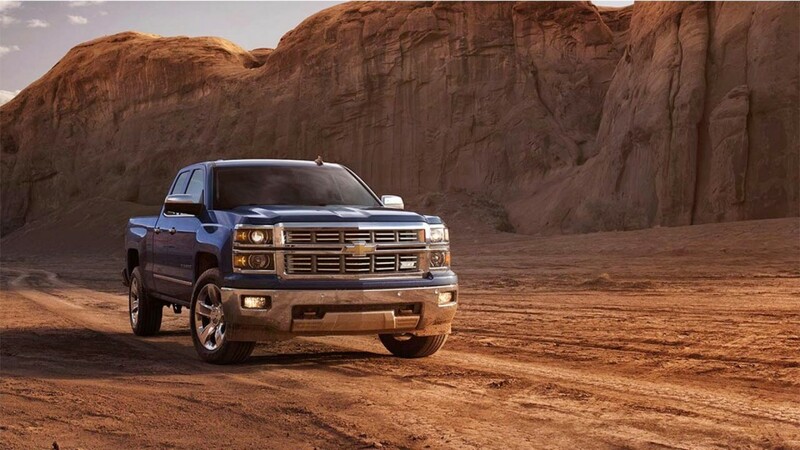 At least three Chevy trucks have made headlines for going beyond 1 million miles. The first was a 1968 Chevy C10 that hit the million-mile mark in 2011. The man who owned it said he used the truck for everything for years, including several long-distance road trips. He bought it in 1972 when it already had 132,000 miles on it. The second was a 1991 Chevrolet Silverado that reached 1 million miles in 2008. The man who owned it bought the truck with 41,000 miles on it in 1996, and he used the truck for his distribution business, delivering food products throughout the MIdwest. The last was a 2006 Chevy Silverado 3500 HD that hit 1.2 million miles in 2013. The couple that owned it used the truck for their long-distance hauling business, and they said they put about 500 miles per day on it. Reading the stories of these exceptional Chevy trucks, we were able to glean some great tips for how you, too, can take care of your truck to get it past that amazing milestone. The old standard for getting an oil change every 3,000 miles has been loosened in favor of every 5,000 miles or so. But if you’re putting 500 miles a day on your truck, that could mean getting an oil change every 10 days. Exactly how frequently you need an oil change depends on how much you drive your truck. If you are putting hundreds or thousands of miles a week on your truck, you will probably need an oil change every two weeks or so. If you are putting miles on your truck slow and steady, you’ll just need an oil change every 5,000 miles or so. That could be as often as once a month, or it could draw out to every three months. Your driving habits should be your guide, and you should pay close attention to your mileage. You should also check the oil between changes. If it is looking dark, you probably need to go ahead and get an oil change. The man who drove the 1991 Silverado said he got so many oil changes that the drain plug for the oil pan had to be rethreaded three times. In addition to your oil filter, you’ll also need to change your air filter and fuel filter regularly. When you put so many miles on your truck, your engine, fuel pump and other components will be working overtime. More debris will be running through all your systems, and all your filters will get dirty faster. You must change filters regularly to ensure the proper performance of your engine and other components. Otherwise, you risk breakdowns and costly repairs. When trucks get to be older, they need a little extra care to help them last. Adding treatments like fuel conditioners, engine cleaners and other products can help support the engine and the other components. You should also use a higher-quality oil, steering fluid, brake fluid and other fluids. The higher quality means that these fluids don’t have as many contaminants so they will improve performance and won’t put as much wear on the engine parts. When you have a new truck, a little rattling in the engine might not seem like a big deal. But when your truck has already racked up several hundred thousand miles, any little noise coming from under the hood can sound like a death rattle. Leaving these noises unattended could allow a problem to grow, costing you thousands of dollars in repairs or putting the final nail in your truck’s coffin. You can’t overlook the outside of your truck in your maintenance. A million miles can really take a toll on the exterior of the truck, wearing away the paint job and causing rust. Wash your truck every week to every two weeks to get rid of dirt, bugs, saps and salt. If you drive in tough conditions, such as long drives on the highway or drives on off-road trails, you may need to wash it even more frequently. Don’t forget to wax! A good coat of wax will protect the paint from salt, sand and other corrosive elements. Of course, the most important thing you can do to help your Chevy truck last a million miles is to drive it well. Don’t punch the accelerator or slam on the brakes. Don’t drive at top speeds or take fast turns. You may like off-roading in your truck, but just know that it can reduce the lifespan of your truck (or increase your maintenance schedule and costs). Otherwise, helping a Chevy truck get to a million miles just means taking good care of it with the same maintenance you would give any vehicle. You might just have to get those services performed more frequently, and you might need to be more choosy in the fluids and parts you use. Visit DePaula Chevrolet to find great deals on new or used Chevy trucks to get your journey started. This could be the beginning of a long and beautiful relationship.